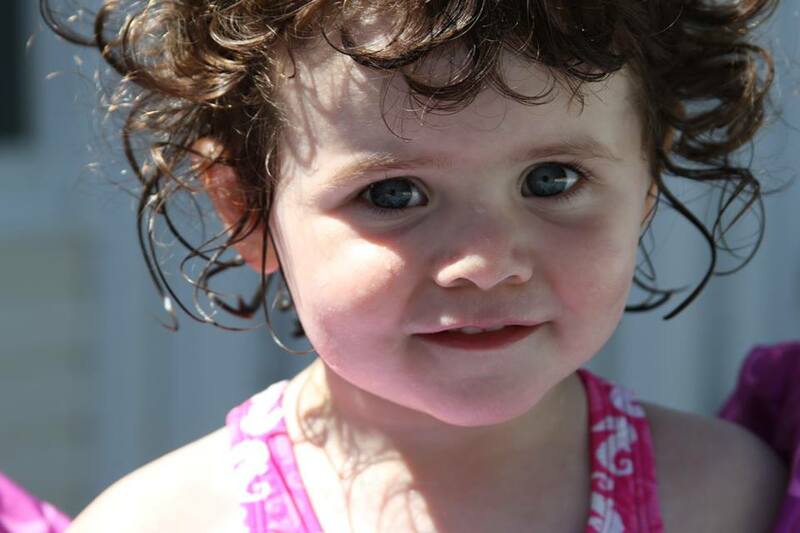 The ocean waves have been wild due to an off shore hurricane but the pool has been just fine - Emma agrees! 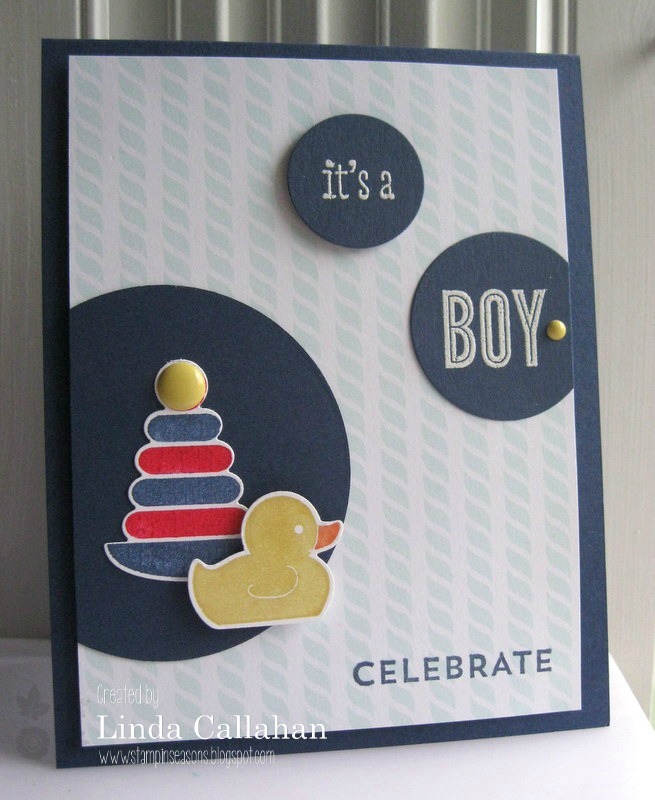 Our guest designer this month - and one of my all time favorite designers - Kim Singdahlsen designed our sketch this week at Freshly Made Sketches! Pals Paper Arts has a terrific sketch for us this week! 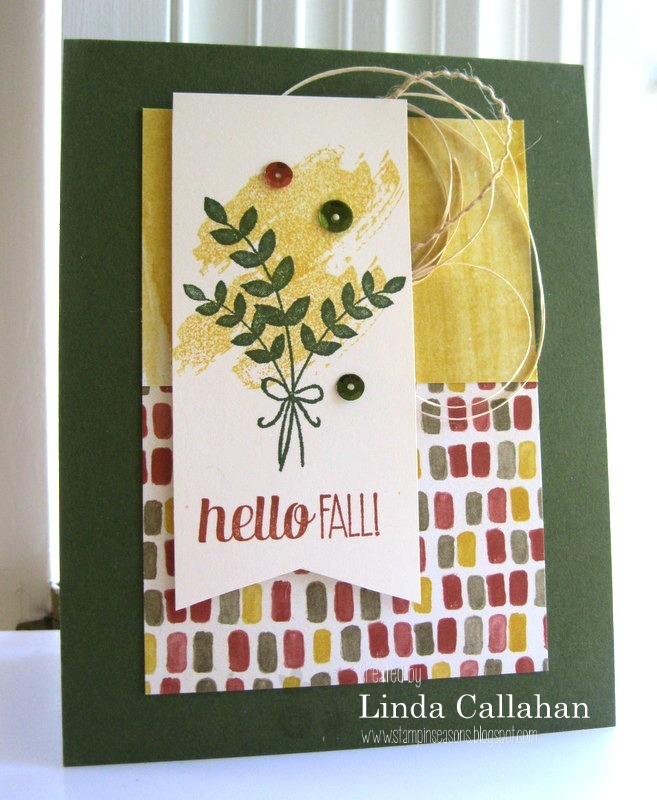 I used images from Work of Art and the new set For All Things along with a wonderful new DSP called Colors of Autumn. I used the sketch from CAS(E) this Sketch to create the baby card using SU! 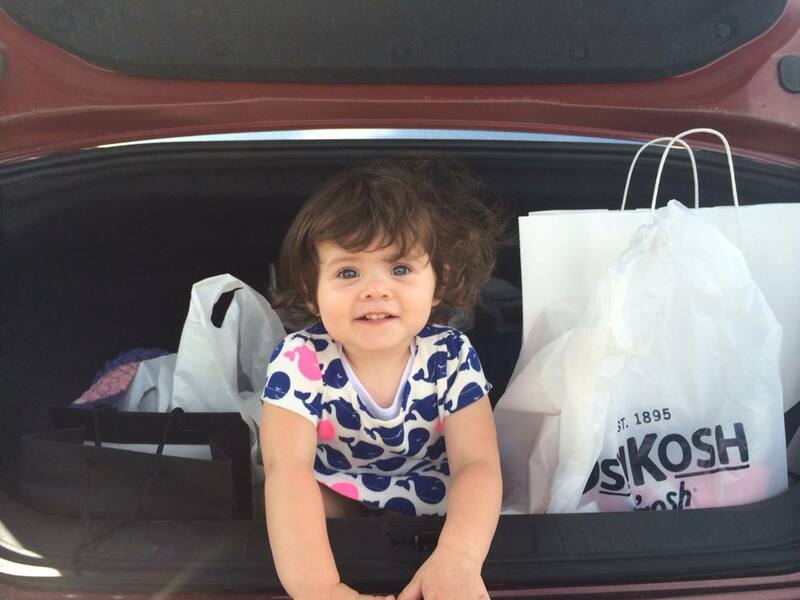 sets Something for Baby, Celebrate Baby and A Dozen Thoughts. 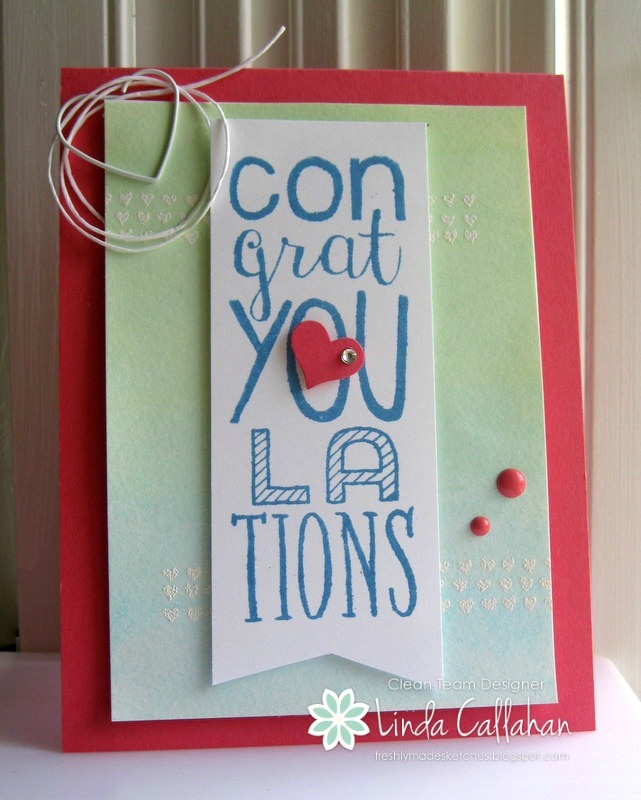 This bright summery card is headed to a newly engaged couple. The heart clip and "diamond" studded heart keep with the engagement theme. The soft blue/green background is a watercolor wash over embossed hearts framed by a Strawberry Slush border. 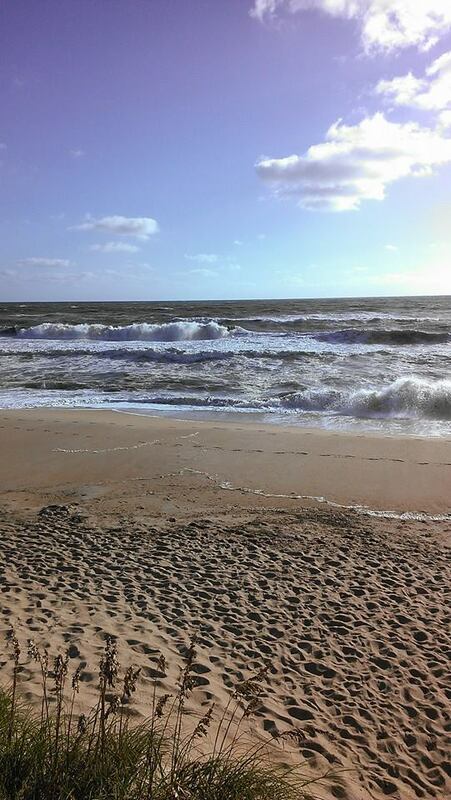 We also had another summer engagement recently. 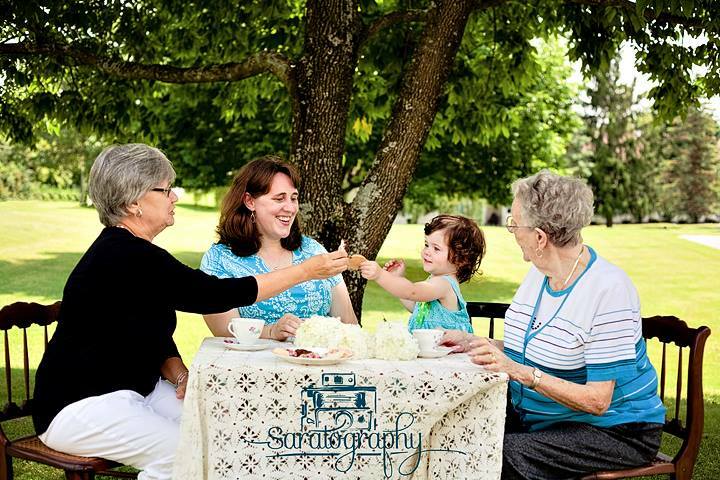 To celebrate my mother's recent 89th birthday and Emma's upcoming second birthday we decided to have a four generation tea party. It is a very exclusive group! Emma and I are clinking cookies and saying cheers in this first photo. I love that we are using my grandmother's china cups on a tablecloth crocheted by my mother and sitting on chairs that were hand caned by my dad. 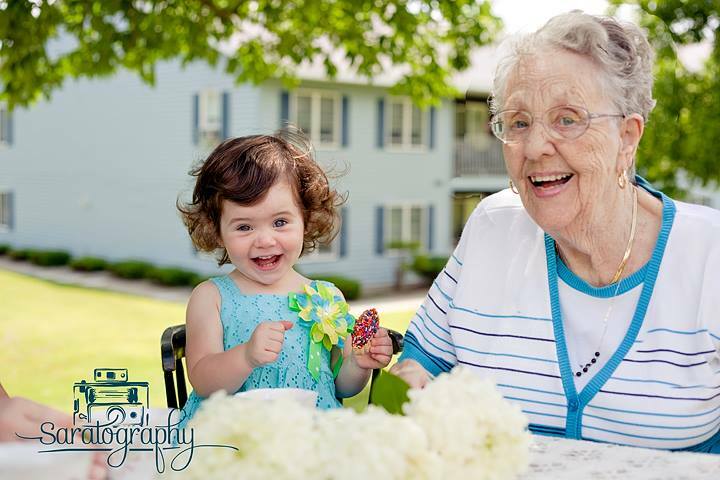 And these two may be 87 years apart but they are definitely partners in crime! 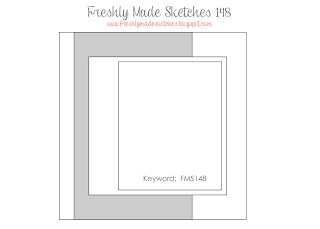 Rita has designed a terrific sketch for us this week at Freshly Made Sketches! My card also qualifies for one of the recent Dirty Dozen challenges on Splitcoast. 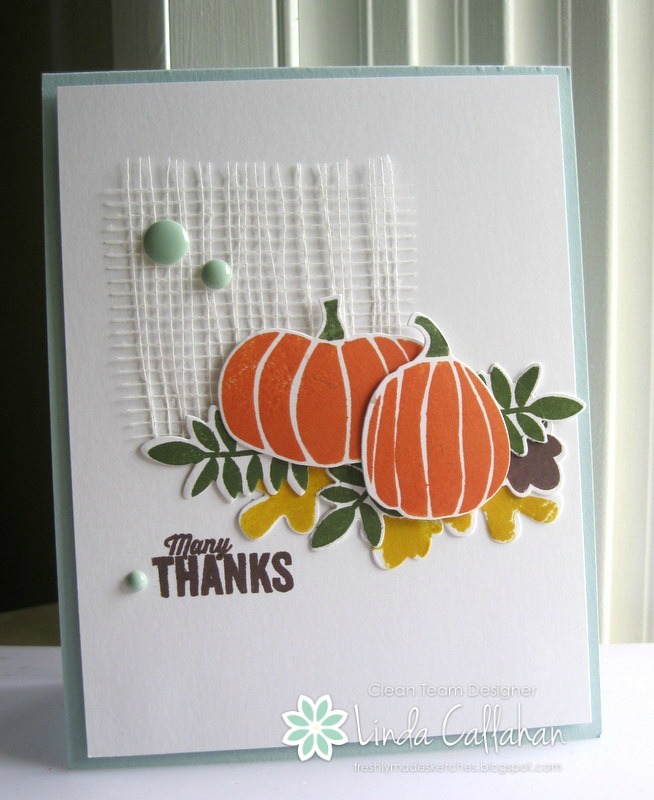 A cluster of flowers from Flower Patch makes a pretty bouquet on a thank you note all decked out in Pals Paper Arts challenge colors. We welcome two new designers to Team One this week. Shannon Jaramillo and Katy McGloin will be sharing their wonderful designs with us! 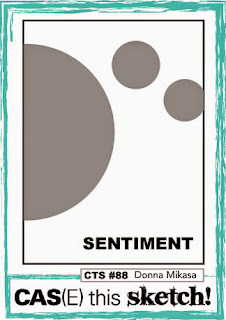 Hope you play along and share your wonderful designs with us as well! 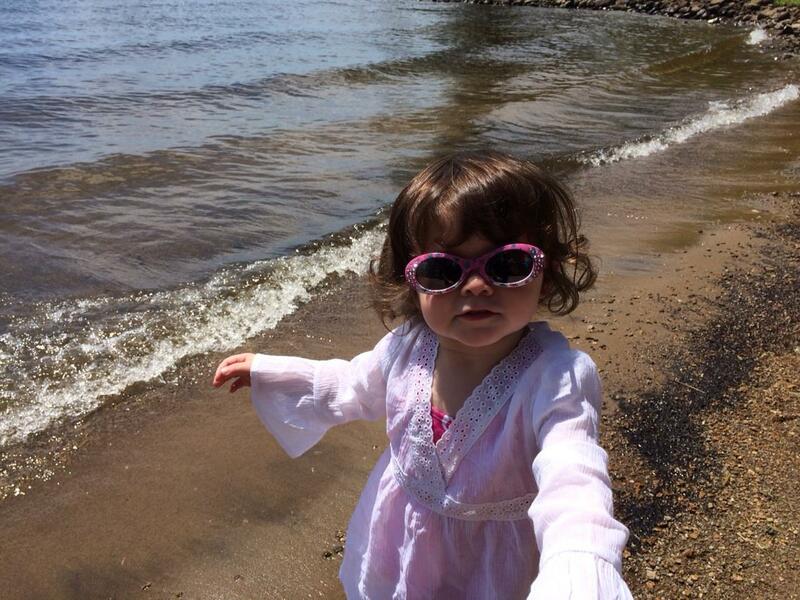 Emma is sharing her designer look with us as well while she enjoys the last few weeks of summer! 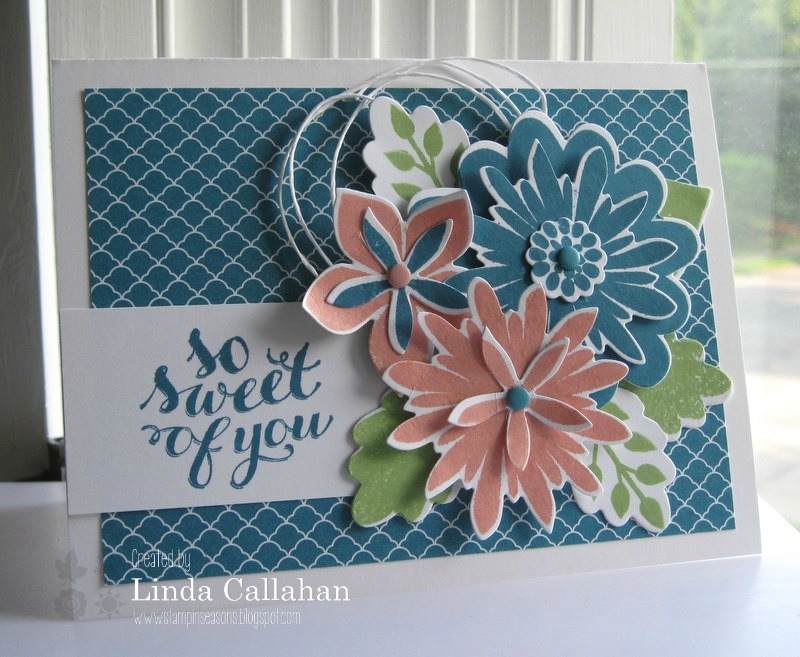 There's a sweet summery color combo at Pals Paper Arts this week! 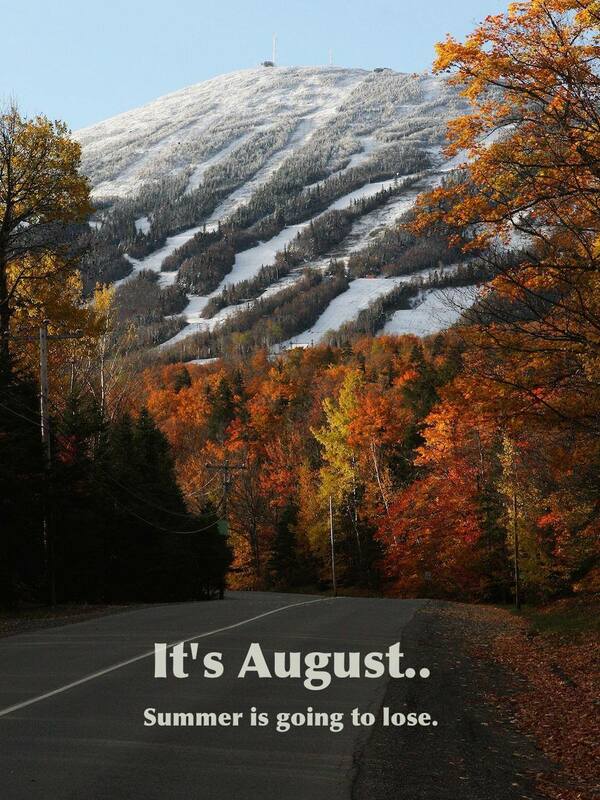 Oh I know it is August but Autumn has a way of sneaking up on you here in the Northeast. 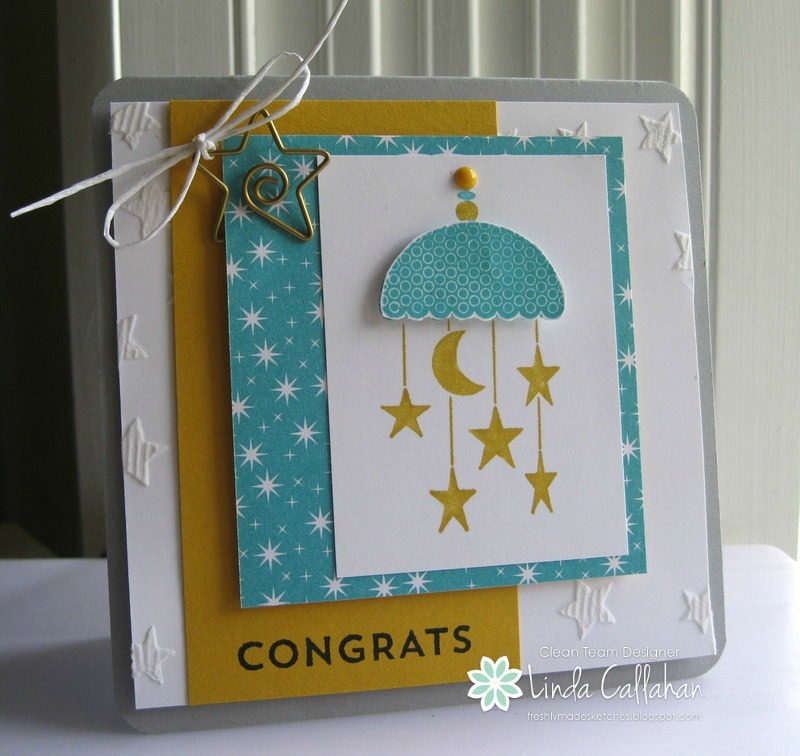 This sweet starry baby card also has a hint of fall on it. 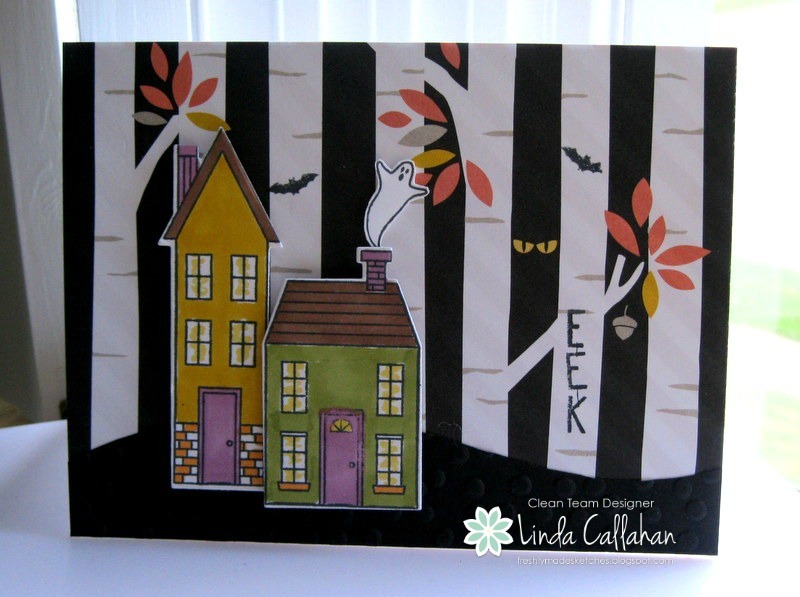 The designer paper that frames the mobile from Celebrate Baby is part of a Halloween collection in the new SU! holiday catalog called Motley Monsters - some fun monster scenes backed with great designs! I used embossing paste and the new SU! Star stencil to create the stars in the background. I scraped the paste on with a serrated plastic knife to make the ridges. Jen Mitchell designed our super sketch this week at Freshly Made Sketches. Hope you play along!